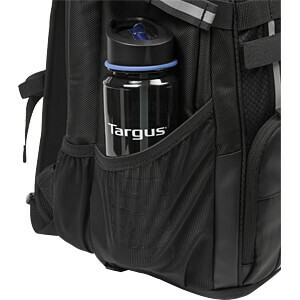 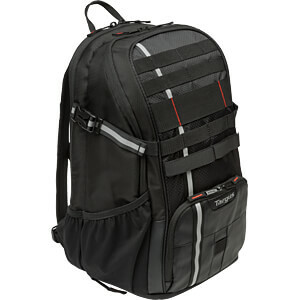 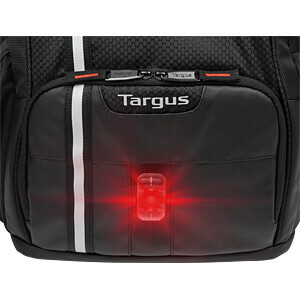 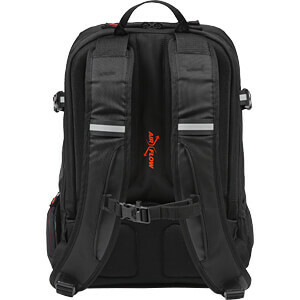 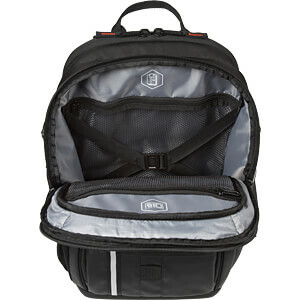 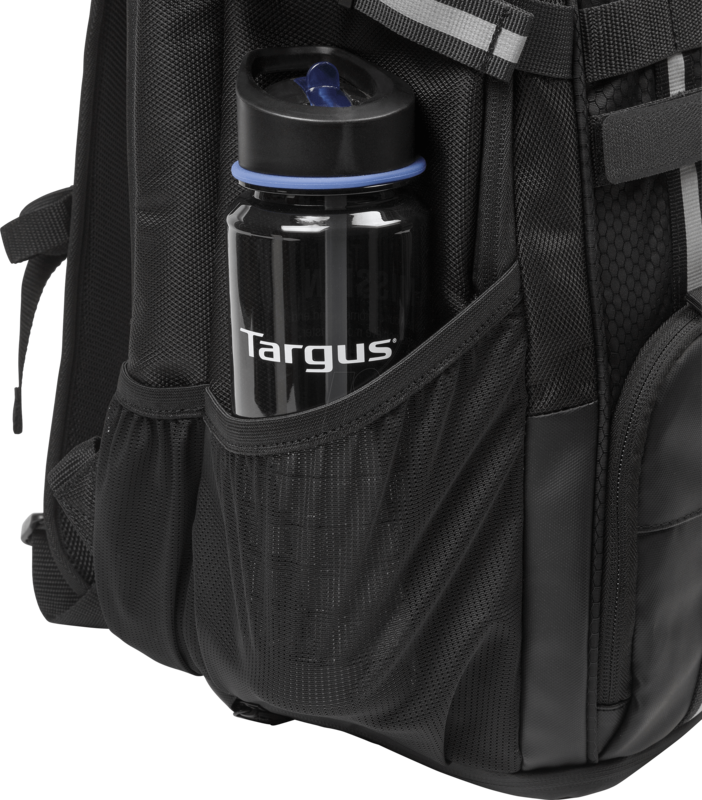 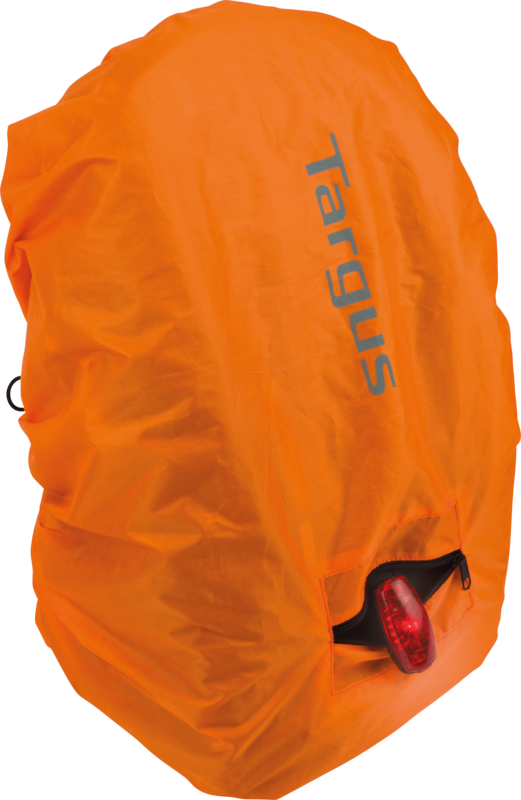 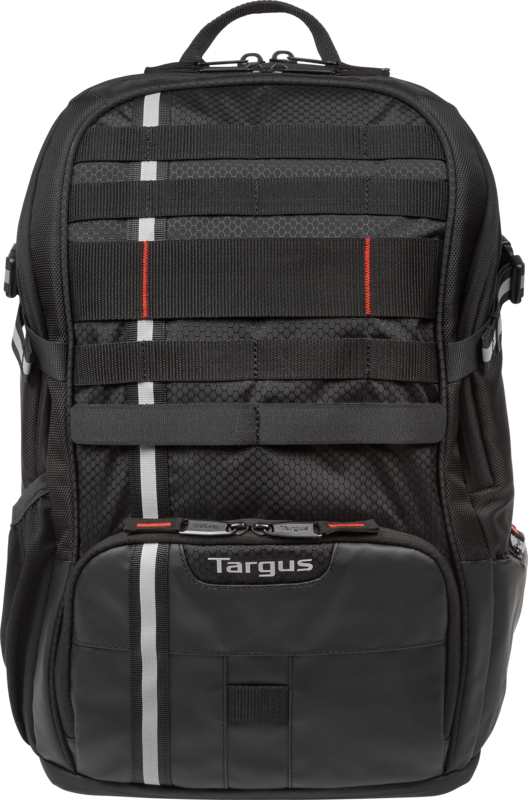 TARGUS TSB949Laptop Backpack, Work & Play Cycling, 15.6"
The all-new Targus Work & Play ‘Cycling’ Backpack is perfect for commuters and cyclists en route to work. 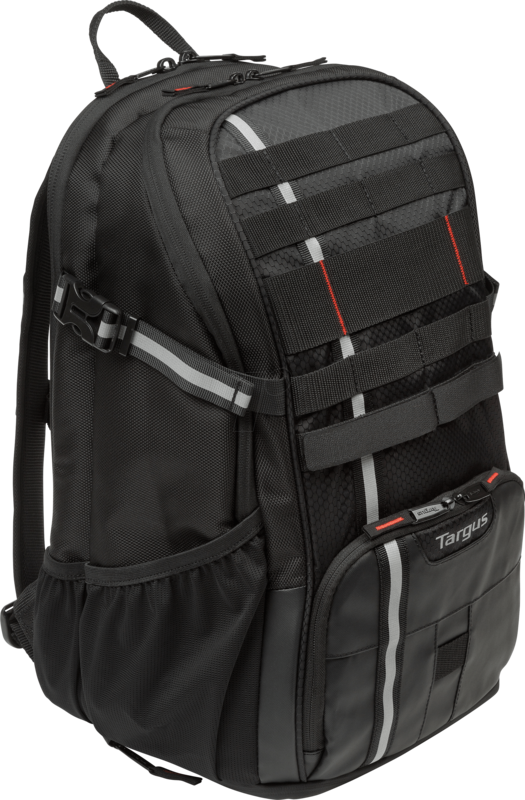 This lightweight backpack is a compact and practical everyday bag, with a range of handy compartments to carry everything from laptops, work accessories, keys, to your bike lock and cycling helmet. 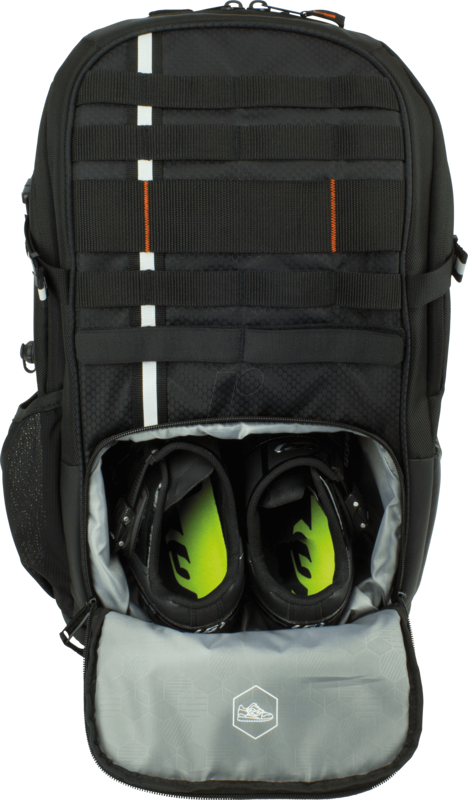 Comfort back padding system and mesh shoulder straps designed to maximise airflow around your back. 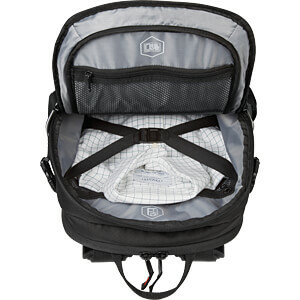 It sits comfortably on you to optimally distribute weight. 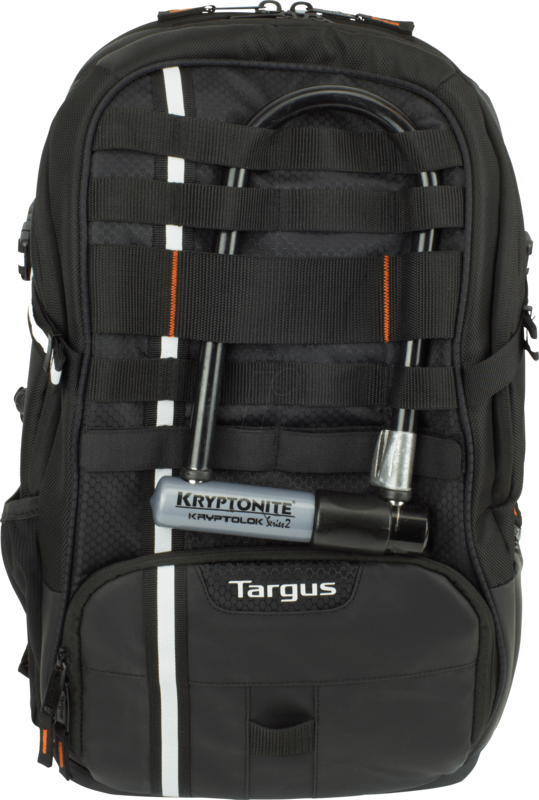 Get ready for action. 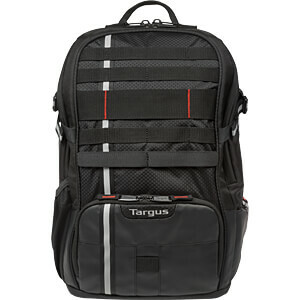 You get the tech protection ingenuity that has made Targus the market leader in its category. 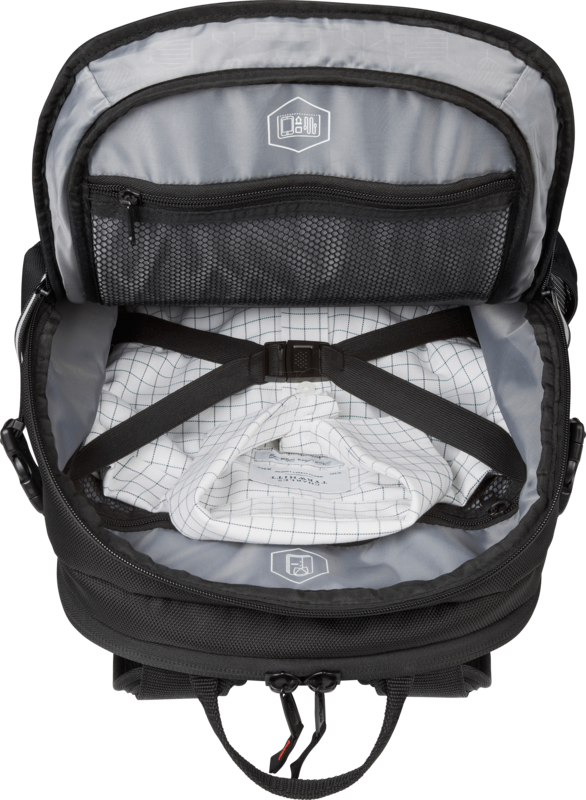 Together with the generous capacity you need and distinct compartments (including a separate wet clothing bag) to help make your work/life balance easier. 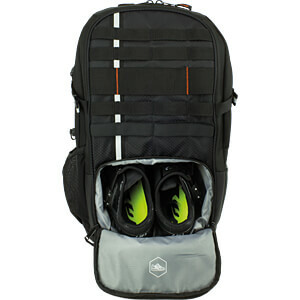 There’s even a discreet ventilated compartment designed for transporting your work or cycling shoes. 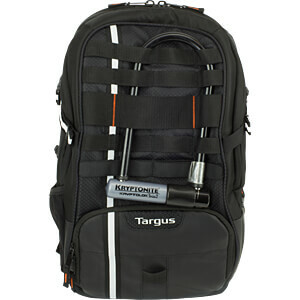 It keeps your laptop, work clothes, accessories and sports kit all in one place and more secure. 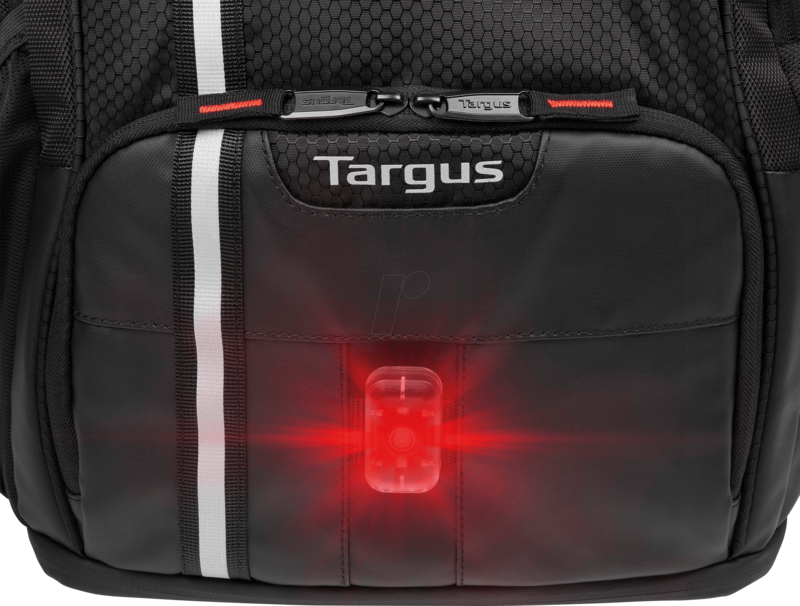 Padded shoulder straps ensure optimum comfort, while reflective strips increase your visibility and safety on the move. 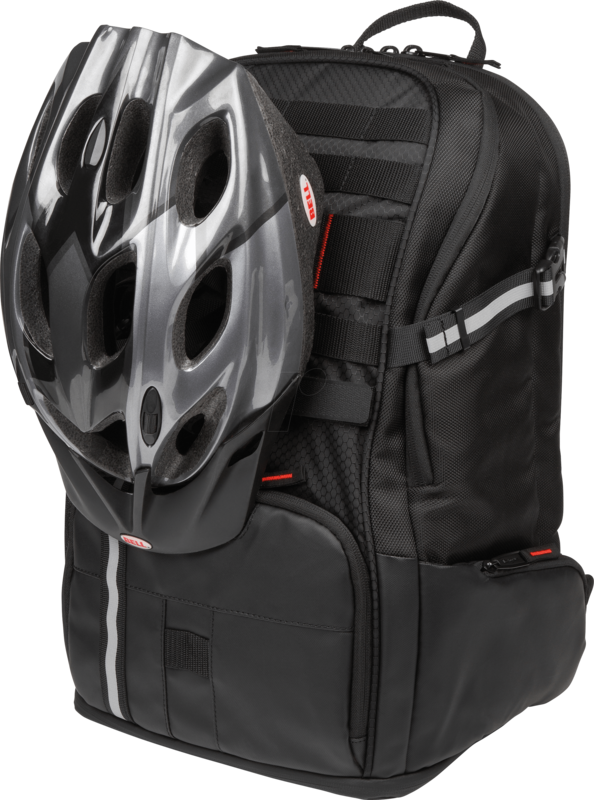 The smart way for professionals who cycle to work to carry their laptop, work accessories, work clothes or cycling gear together. 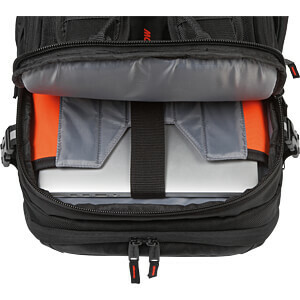 Shock-absorbing, dedicated laptop compartment for screen sizes up to 15.6". 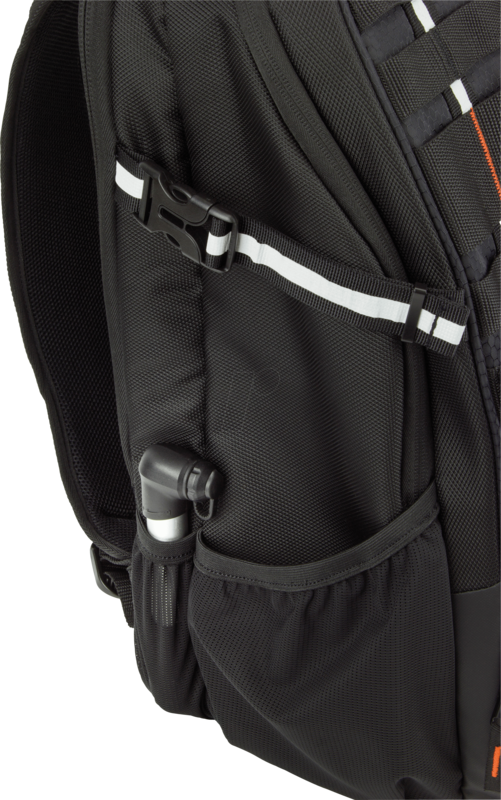 Padded shoulder straps to ensure optimum comfort. 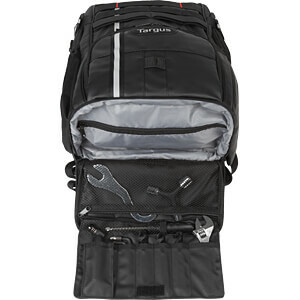 Spacious compartments with straps to separate your work equipment and cycling clothes. 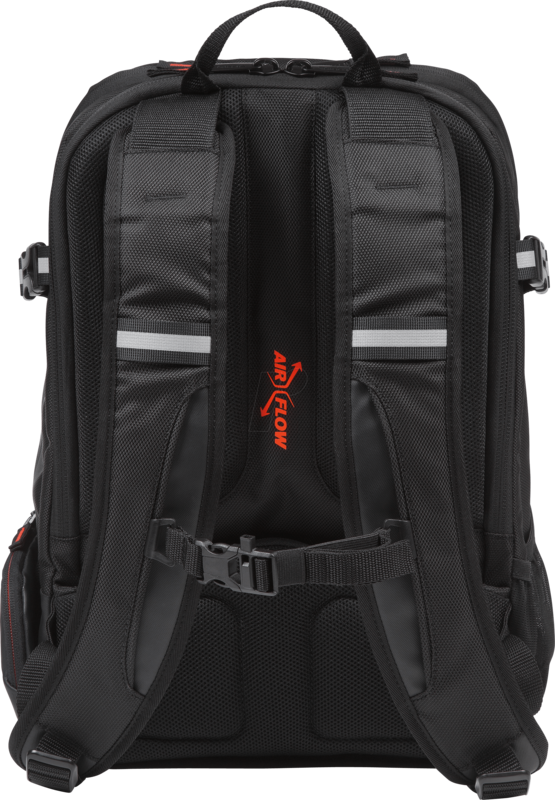 Intelligently designed to ensure a firm fit for your contents, providing maximum comfort whilst travelling at speed, with sternum straps for that added feeling of security. 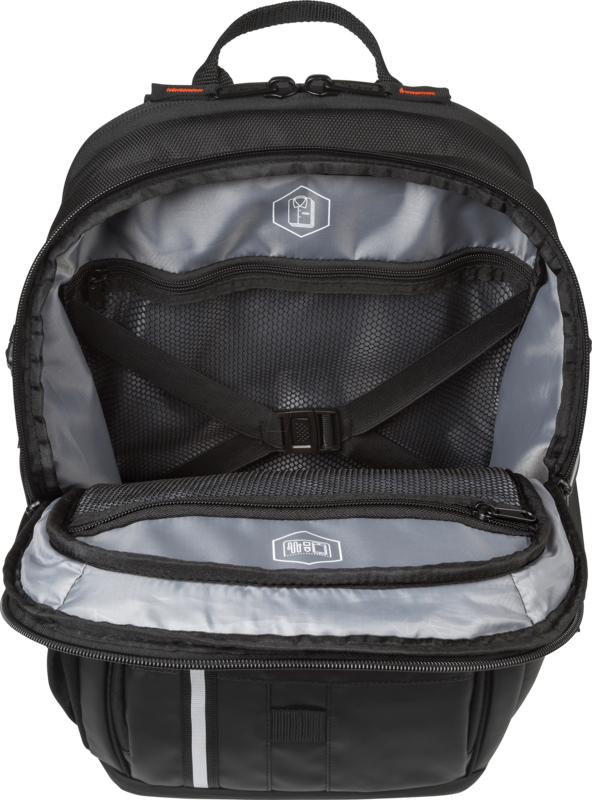 Discreet, lined and ventilated compartment for carrying work or cycling shoes. 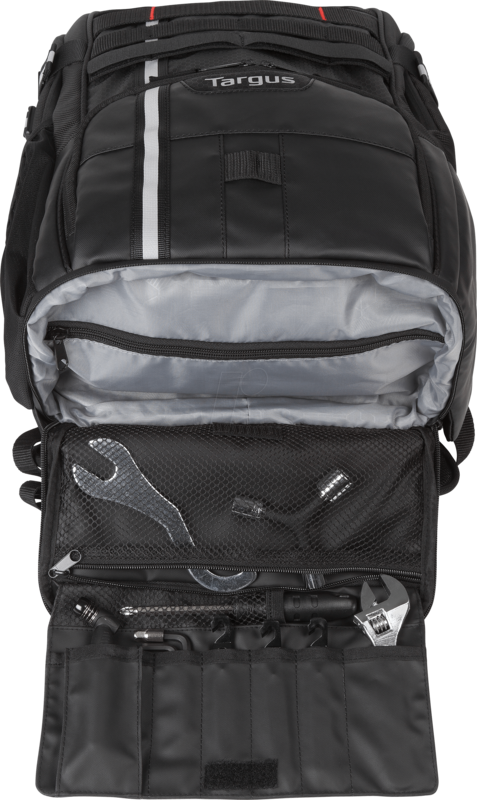 A handy toolkit compartment in the base to house spanners, puncture repair kits, Allen keys and tyre levers. 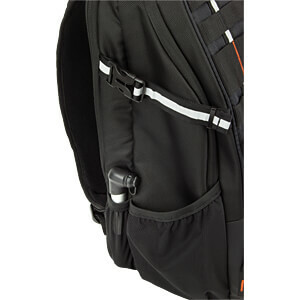 Plenty of lashpoints on the front to fasten your helmet, cycle lock and lights too. 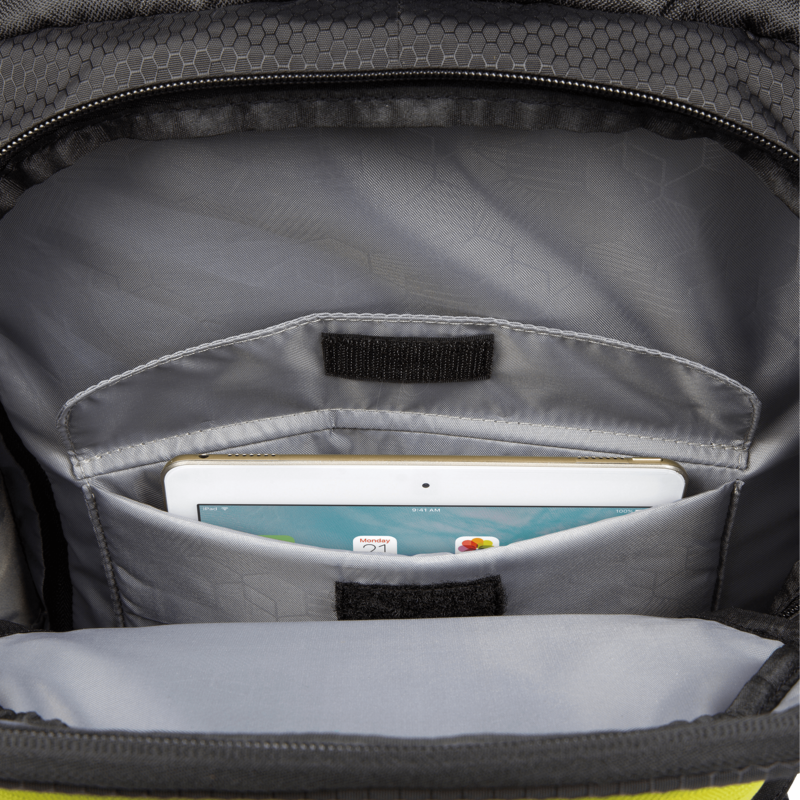 A side pocket for your smartphone so that you can listen to your music wirelessly or connect your headphones via a cable. 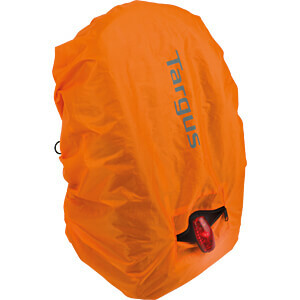 A compartment in the base with a luminous rain cover stowed inside. 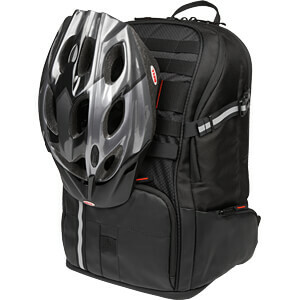 A specially streamlined, aerodynamic bag profile for comfort and speed. 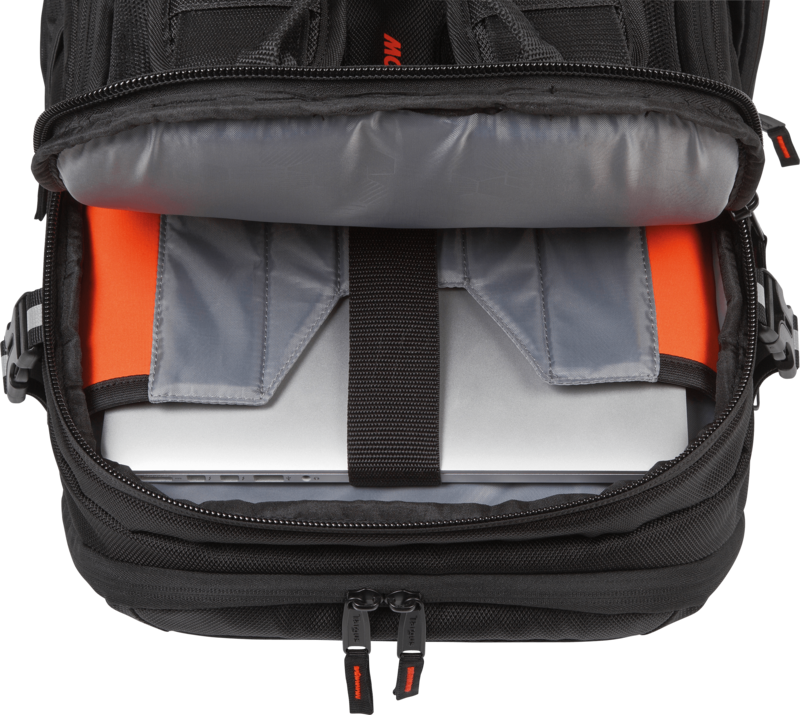 A zipped lumbar pouch built into the back padding to protect your small valuables but still keep them always accessible to you.